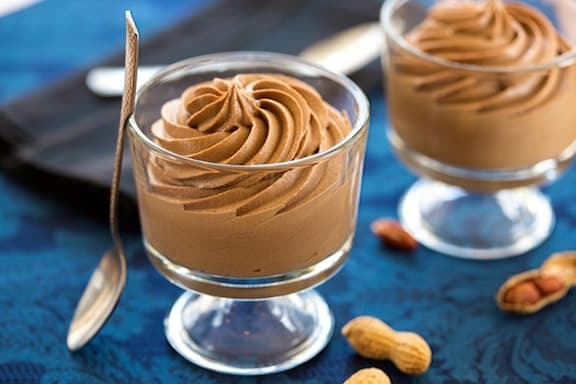 Serving a tasty vegan dessert can be challenging, but it’s made a whole lot easier by substituting various quality vegan ingredients for the eggs and dairy products usually associated with these comforting culinary creations. 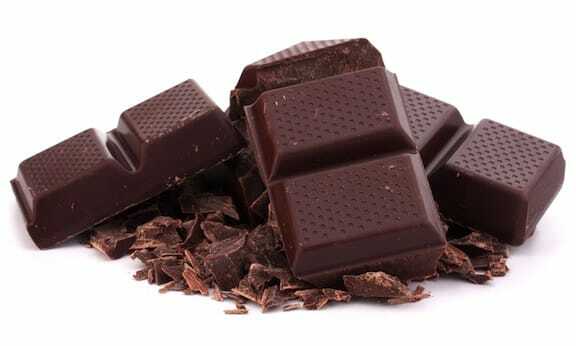 Best of all, vegan desserts are delicious and often nutritious. It’s actually pretty easy to bake without using eggs and dairy, once you get the hang of it. Bananas work particularly well as egg replacements when you are making very dense cakes or sweet muffins. Just mash the ripe banana until it is smooth (or whirl it up in a blender) and then add it to the batter, as you would eggs. Flaxseeds work well in a variety of baked goods recipes and I especially like using them when I need a replacement for egg whites. Whipped tofu works particularly well for making desserts like puddings or brownies. 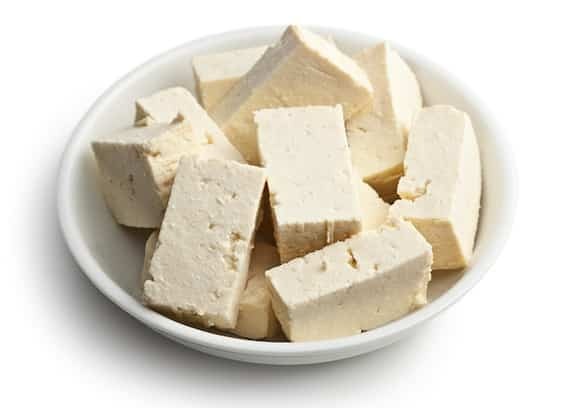 Just place the desired amount of organic tofu in a blender and process it until smooth. Then use the whipped tofu in your recipe, just as you would eggs. Another note: If a baked goods recipe calls for only one egg, in most cases you can leave the egg out, without compromising the outcome of the finished recipe. Who knew? When creating compassionate chocolate confections, use dairy free, fair trade, dark chocolate, which keeps it vegan, while being healthier for the planet and helping to build equitable and sustainable trading partnerships. To top off your sweet works of art, consider making a quick vegan whipped topping by putting some organic silken tofu, maple syrup and a bit of vanilla extract in a blender. Process until smooth and creamy in texture, and then refrigerate for three hours or more until it is well chilled. If you’d like to add color to your topping use fresh fruit. 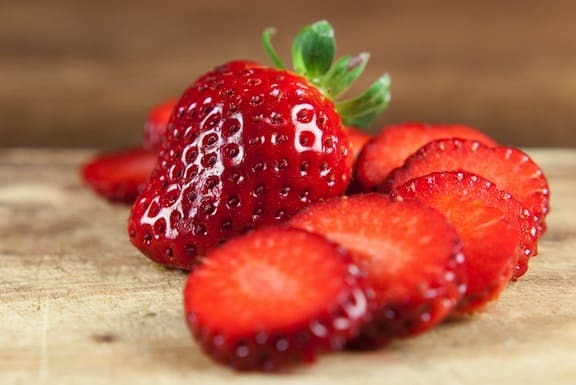 For pink colored topping add some strawberries or raspberries, for violet hued topping, add some blueberries. For chocolate whipped topping, simply add some cocoa powder. So, with a little extra thought and some key ingredients, you can make delicious tasting and beautiful looking vegan desserts. You’ll surprise your family and friends by serving your own homemade, delectable confections and no one will ever know they are vegan… unless you tell them. Hi! I love your recipes, but some times I don’t know some words, so It’d be grateful you make a site in spanish 😀 I could use google translator but I don’t trust in it XD Greetings!!! Victoria, I sure do wish I could help you but it would be prohibitive for me to make the site in Spanish or other languages. Google translate is pretty good, but definitely not 100% reliable! There’s always the Spanish-English dictionary … in any case, thanks for visiting VegKitchen. Our son had your show on today and I really liked some of the recipes we saw so thought I’d stop in and check your website out. We aren’t vegan but are trying to add a few vegan/vegetarian meals a week to our diets and this site looks like it will be a great resource for us to use. Really glad I caught your show today as it led me here. Thank you.